We are excited to welcome our new niece, Hayden Rae. 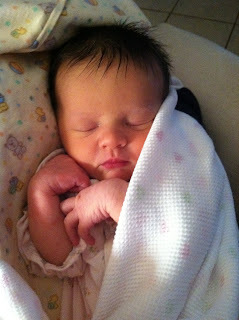 Congratulations to my sister, Amanda and her husband, Sam on the birth of their beautiful baby girl! She was born on April 5. Everyone is home and doing very well. She is a beautiful little baby. 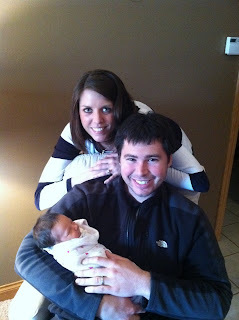 Jason and I are honored to be Hayden's Godparents and already love to spoil her to pieces!